You should know by now that SEO isn’t a one-trick pony. Your content’s age is just as important a piece of the SEO puzzle, and you’d fare much better in the rankings if you knew how to use this to your advantage. While most SEO marketers are clamoring over keywords and killer topics, the freshness factor is largely going ignored. And although some components of SEO are sometimes generated through guesswork and opinion, age isn’t one of them. There have been multiple case studies that show just how much age matters to algorithms, and you’d do well to pay attention to this minor-but-mighty detail. Let’s explore how the date of a blog post can help or harm your rankings and what you can do to mitigate its negative effects. Google’s Freshness algorithm update should have been a dead giveaway that recency matters in SEO. If you’re looking for how the Dallas Cowboys are faring this football season, you likely won’t be looking for articles from 2012, no matter how well the keywords match your query. If you want to know about Taylor Swift’s upcoming tour dates, you’re not interested in where she was a few years ago. This same mentality applies to blog posts, especially when timeliness is part of your search. Granted, some evergreen content from a decade ago may still rank well in some cases, but when Google itself says it gives preference to freshness, it’s hard not to comply. 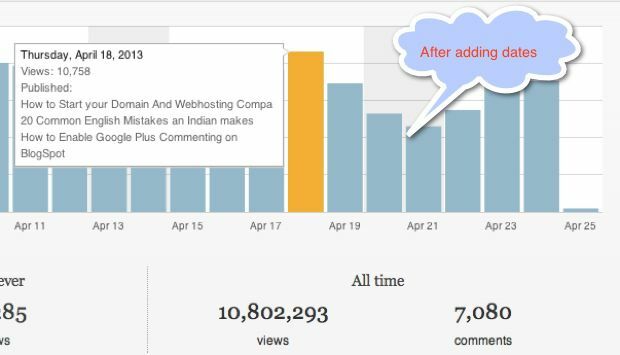 Can removing dates from blog posts make your content automatically fresher? The secret is out: Website owners and bloggers have shared how removing dates positively affected their rankings. In another study by ShoutMeLoud, the blog dates were removed altogether. The website had posts dating back all the way to 2008, so they removed the dates temporarily to see the effects of content age. Again, they removed the dates and saw almost immediate improvement. If the date of the post is shown in the SERP, it may negatively influence the rankings. But removing the dates may create a potentially larger problem for your users. A boost in rankings isn’t without its pitfalls. When you write a blog post, the date is automatically stamped into your content. There’s nothing you need to do on your part to signify when you wrote it. In most cases, this date is displayed to your audience so they can also see when your content was written. When you remove the dates from your content, your audience has no idea how to tell if the information within is still relevant. They don’t know when you wrote it or when it was published. Sure, there might be clues within your content, but your readers shouldn’t have to play detective. As a result, you’re not able to build trust with your readers and may force them to seek other sources. User experience is diminished, which can ultimately kill any gains you receive from a search boost. When does it make sense to change your content’s date? 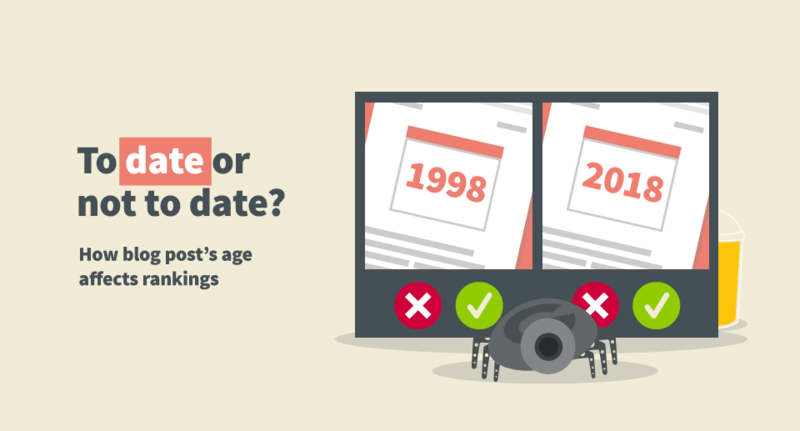 In some cases, the date of a blog post or other content might not seem like it matters. Evergreen pieces like “How to do a cartwheel” aren’t likely to change drastically over time. That doesn’t’ mean they don’t need to be updated, though. Updates show your readers you’re still actively interested in delivering them the best possible information. It proves you’re in tune with current audience needs, you’re still producing quality content, and care about the experience they receive. Yes, a date CAN be that powerful. In most cases, you may be able to alter an existing blog post and update your date stamp to reflect this. For example, a semi-evergreen piece, such as “amazing company logos you’ll want to copy”, might get updated every so often. Changing images while retaining the basics keeps the content relevant, plus it can give you a freshness boost with search engines. However, the less popular opinion is that very little content is evergreen. There are always ways to improve it for a modern readership, whether it’s changing images or processes, updating backlinks, or sharing newly discovered information about an older topic. It’s good practice to keep your blog posts current, regardless of whether you show the date or not. Users deserve the best information possible and, in many cases, will be able to tell if a post is delivering on their expectations. It’s a tricky line to navigate: Do you want to provide the best user experience possible, or are search rankings more important to you? Show blog post dates to your users, but hide them from search bots. To show search engines the “last updated” time rather than the original creation date. Of course, you can also opt for removing all dates or leaving them as is. But neither are without their consequences. Bottom line: Should you remove your blog post dates? Removing blog dates can be considered risky business. Each of the case studies in this post mentions that they did it because curiosity was greater than any potential benefits. If you want to see the results for yourself, your best bet may be to appeal to both search engines and users alike so you don’t create the wrong impression with either. And don’t forget to track your results carefully to see if you made the right call. 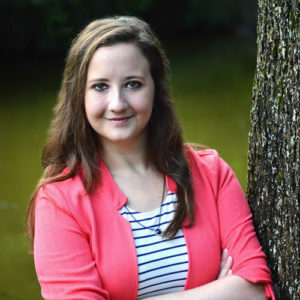 As a long-time writer for NoStop Blog Writing, Alli’s dedication lies in solving business problems through content creation. With nearly a decade of marketing and SEO experience, Alli enjoys putting her expertise to work for clients.